All over Australia, we are blessed to have the sun blazing down on us pretty much all year ’round. And while we love getting out there for a picnic and a game of beach cricket, from an energy perspective you could say we haven’t made the most of being a sunburnt country. But with the help of Australian Hot Water, you can change all that. A solar hot water system is the best way to make the most of what is effectively a free source of energy – with environmental benefits to boot. Heating water accounts for between 20 and 30 per cent of each household’s greenhouse gas emissions, meaning you can reduce your environmental impact by up to a third simply by switching over. You’ll also save money – going solar will reduce your expenditure on water heating by up to 75 per cent. Solar hot water systems have been around for decades now, meaning they are more efficient, durable and affordable than ever. Most have an electric or gas booster, meaning they’re reliable in all weather. 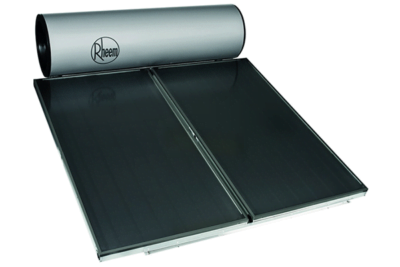 The main types of solar hot water systems are flat plate solar collectors with evacuated tubes becoming more popular in recent years. These systems require direct sunlight. Other solar air style systems like heat pumps just require warm to hot air to draw energy from, and can work night and day. Flat plate solar collectors have a network of copper pipes running under a sheet of glass. These systems will generally be accompanied by a roof-mounted tank, which collects the hot water before sending it to an insulated tank below. Evacuated tube systems surround copper piping with a vacuum before sending it to an insulated either located close coupled with tank, or circulated to a tank at ground level below. Evacuated tube systems don’t require as much direct sunlight and some components can be more efficient, although they tend to be a little more expensive. A heat pump system extracts heat from the air and uses it to heat the water in the tank. These systems work best in warmer areas, although there are several models which can be used in colder climates. Choosing the right hot water system for you and your household will depend on a range of factors pertaining to your location, energy use and budget. At Australian Hot Water, we sell and service all the best brands, including Beasley, Edwards, Quantum, Rheem, Rinnai and Sanden Eco. If you have any more questions about solar hot water systems or are thinking about getting one installed, contact Australian Hot Water here for information and an obligation free quote.